Oh yes, my friends. You can totally do this. And not just for special occasions and fancy parties and impressing your in-laws. No, you could start dreaming it right during supper…and while the rest of your fabulous family is clearing the table and loading the dishwasher (is a little bit of bribery required?) 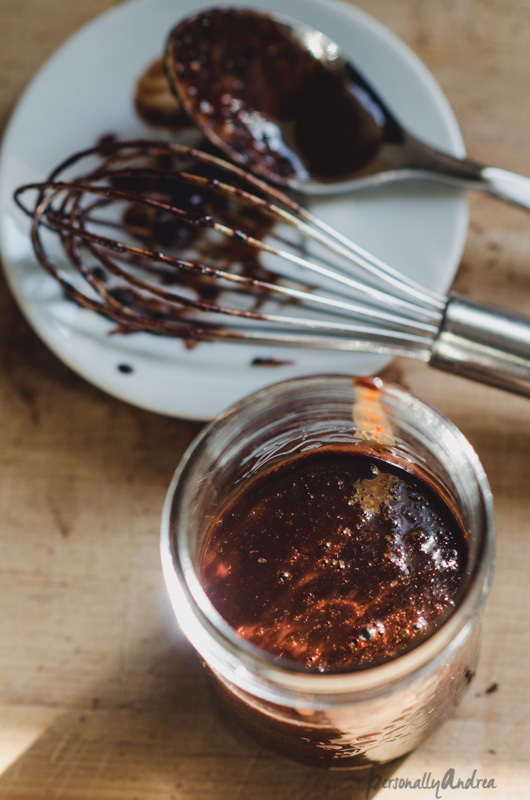 you could be casually just stirring together some homemade chocolate sauce for dessert as if it was a completely normal thing to do. Short disclaimer: this recipe is dairy-free and gluten-free. Which isn’t why I made it, I made it because it’s super yummy and makes your whole house smell like chocolate. But hey, now it appeals to a wider audience right? You literally stir five ingredients together in a pot on the stove. And one of the ingredients is water so that doesn’t even count. I made a batch for my girlfriends who helped me shop and assemble and deliver these fantastic centrepieces for a recent fundraiser. Couldn’t have done it without them so this was my little thank-you. And just to be even more amazing and make them look oh-so-professional, I used these labels on the lids from Lia Griffith’s blog. It was the easiest thing to do. Check out the rest of her blog for lots of beautiful and free printables. 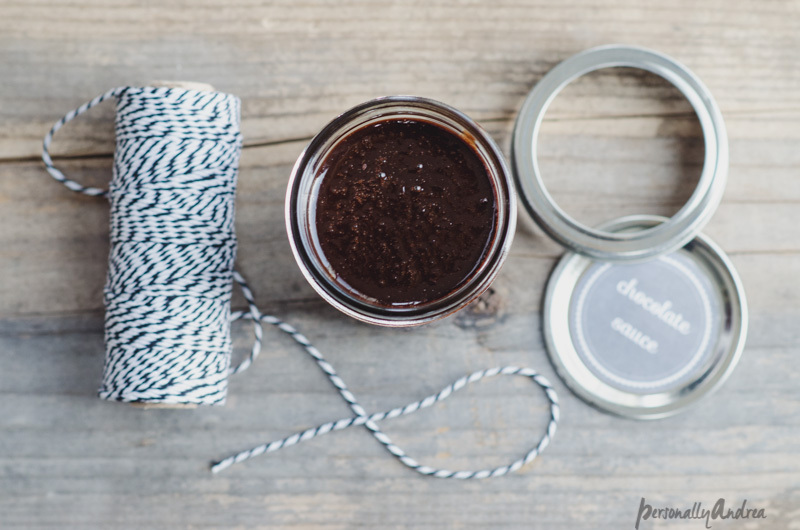 This recipe made enough for four mini-mason jars plus a little bit more, for me. 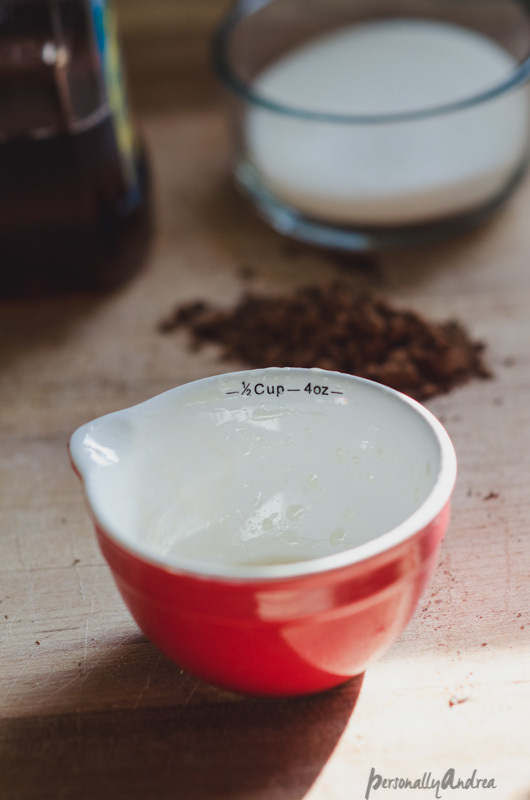 In a medium pot stir together 1 cup water, 1/2 cup sugar, 1/2 cup agave syrup (or corn syrup), and 3/4 cup unsweetened sifted cocoa powder. Bring to a boil, stirring to combine ingredients. 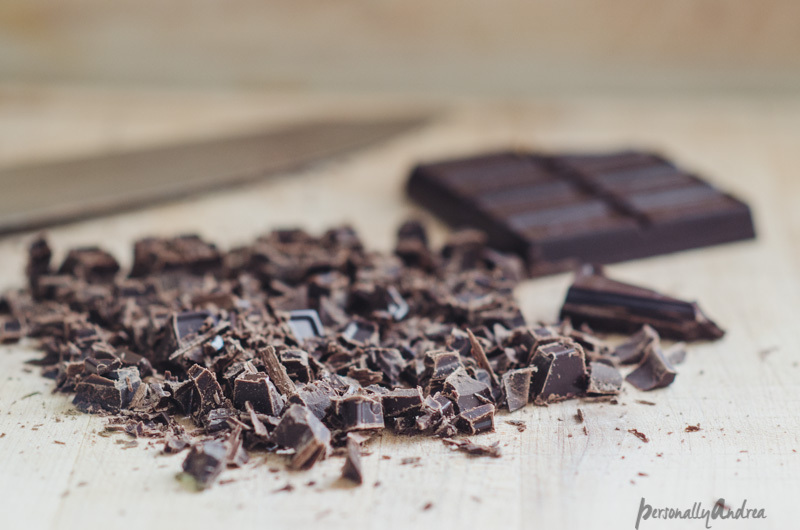 When almost at the boiling point, pull the pot off the heat and add 2 ounces finely chopped semisweet or bittersweet chocolate. 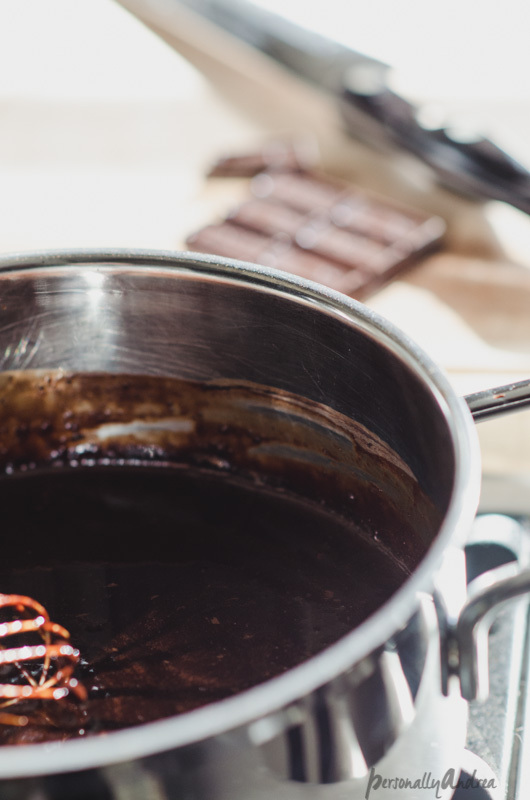 Stir until the chocolate has melted and the sauce is silky. Use ir right away or let stand a bit until it thickens. Then you can store it in the fridge up to ten days (as if...).